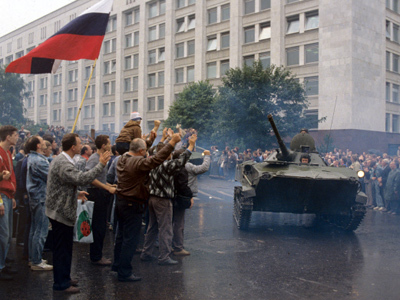 August 19, 1991 marks 20 years since the beginning of the end of the Soviet Union. Ironically, it was the coup attempt aimed at saving the union that firmly set the country on its new path of democratic reforms. ­"Imagine that picture: tanks are standing in front of the White House, all surrounded by people. People are even on top of them, standing on the armor…"
These are the recollections of just one young man out of thousands on the barricades in central Moscow, an image that shocked the world 20 years ago. Millions watched as in the course of three short days, the foundation of the Soviet Union cracked, and the promise of democratic changes loomed on the horizon. Mikhail Gorbachev's reforms of economic and political restructuring ("perestroika") and openness ("glasnost") were not being well received by some of the political old-timers. They specifically opposed the New Union Treaty, which called for a union of independent republics with a common president, foreign policy and military force. But eight of the nine republics (with the exception of Ukraine) approved the plan, which was to have been signed on August 20, 1991. Hard-line Communist Party members, livid with Gorbachev's plan to give the Soviet republics more autonomy, decided there was nothing left to do but intervene. They attempted to force Gorbachev to back down or step down. ­When that plan failed, they simply placed him under house arrest in his Crimean retreat and ran a news story about an "illness" that was keeping the leader away from Moscow. An unspecified emergency was named the reason for the creation of the State Committee for the State of Emergency, or GKChP, and that same emergency, together with Gorbachev's alleged illness, the reason for a new leadership. The group of eight high-ranking government officials utilized their influence with the mass media, banning all but nine communist-controlled papers, and at 7 a.m. on August 19, state TV and radio broadcasts all featured just one news item: the creation of a new Soviet leadership. Independent news sources were shut down. Tanks and infantry fighting vehicles rolled into the capital. People considered potentially dangerous were arrested. It was a bold, dangerous move – but to the organizers, absolutely necessary. 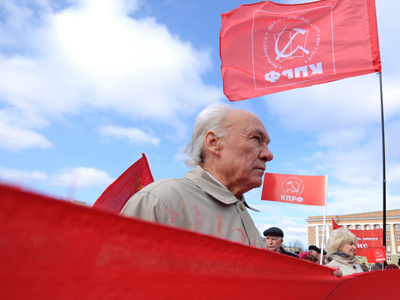 "We had all decided what we were going to do,” said one of the coup members, Vasily Starodubtsev. “We were aware of the risks of failure. We weren’t scared. We were ready to do whatever we could to save the people from the calamity of the Soviet Union which was being created by Gorbachev and Yeltsin." A high-ranking politician at the time, Starodubtsev became a member of the State Committee for the State of Emergency – and to this day believes the actions of the committee were justified. "The only thing I regret is that I failed to save the country," he added. 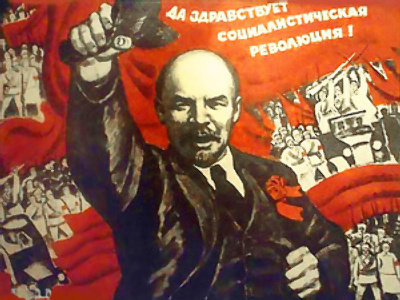 "While there was the Soviet Union, the world had two wings. There was balance in the world." But was that really the case? The Cold War was over, the Berlin Wall had fallen, and to many, the Soviet Union was going the way of the dinosaurs. Twenty years ago, that belief united thousands of people in Russia – and the State of Emergency Committee's actions became the point of no return. ­Those who have analyzed the events leading up to and during the attempted coup say the committee's most fatal mistake was not detaining Russian President Boris Yeltsin before August 19. By the time the coup members realized it was a necessary move, it was too late. 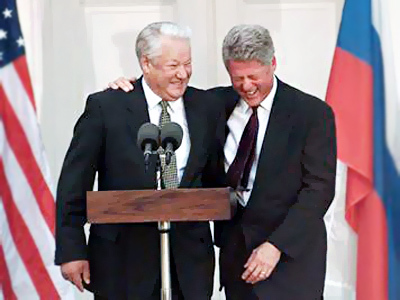 Yeltsin had arrived at the White House early on the morning of August 19, immediately issuing information about an unconstitutional coup attempt taking place and urging the military to refrain from taking part in it. His words had a bombshell effect. Several military commanders declared their support for Yeltsin, and his famous address to the people atop a tank was made that same evening. 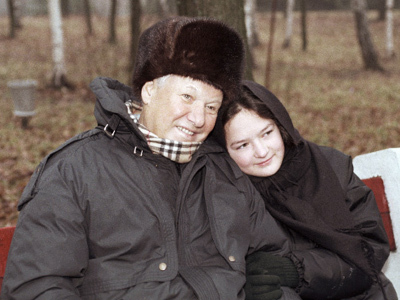 "I was given orders that in case Yeltsin doesn't stop his actions against the GKChP, I would have to move the troops into the White House and apprehend Yeltsin without hurting or killing him," recalled Soviet air force commander Pavel Grachev. "And I asked how, given that the White House and Yeltsin had supporters ready to defend them and fight till they die. In response to that, I was told that if it continues the same way, it would be good to overcome them by 7 a.m. on August 22. But both I and my colleagues already saw that the GKChP was failing." Grachev to this day regrets the breakup of the Soviet Union. But that did not stop him from refusing a direct order from a self-proposed political leader. He says it was a mixture of hope, fear and patriotism that changed his mind – hope for a better future, fear of his family being persecuted should the coup fail, and the inability to shoot at his fellow countrymen. "I had no worries about myself. I had spent five years at war in Afghanistan, so I was quite used to the military action, that was a routine thing for me," Grachev said. "But undertaking military action against my own people… That's what was scary." But despite the fact that more and more of the army slipped out of the coup members' control, and their proclaimed unwillingness to shoot at protesters, this page of Russian history is also marred with blood. Dmitry Komar, an Afghan war veteran, was not planning on joining the thousands-strong crowd at the White House. His mother, Lyubov, says he told her he was heading out to work – and simply never came home. "After work, they came to the 1905 Goda metro station to go home,” she said. “That was when they heard a man saying in a loudspeaker, 'Afghan vets, General Rutskoy calls upon you to defend the White House!' He went there, as he was an Afghan vet, a paratrooper." Komar’s death may have been an accident; as he climbed onto an armored personnel carrier, and tried to get into the rear hatch, he fell off and was crushed by the vehicle. But just minutes later, two other men were dead – one for trying to save Komar, and another for calling for the bloodshed to stop. Coup members claim the crowd was drunk, that Yeltsin was drunk, that the protesters started it all, and that it was their fault that blood got spilled. But the people who were actually on the streets remember a totally different story. "As I was walking around the White House, I found myself near the American Embassy,” recalled eyewitness Gennady Veritilny. “I saw a column of armored vehicles going inside a tunnel shooting tracers and scaring people away. Those streaks of light were really frightening. We were standing in lines all the way to barricades. Three or four rows of buses made up barricades. I suddenly saw a body hanging out of an armored vehicle's hatch. My initial response was to try to help this person. I reached out my hands, and a shot was fired from inside. The bullet scratched my arm bone, and my sleeve filled with blood. I walked away to the parapet in shock. Then I saw the vehicle going inside the tunnel, I thought probably to take the body off. But then it returned, with the body, and started banging against barricades and pushing buses until the body fell off. I approached the body immediately in hopes to help him, even though I myself was wounded. It was a shocking sight, and I passed it by in total confusion. The body was convulsing; its head was crushed by the track." To Veritilny, a protester in the August 1991 coup, the images of those three nights are forever etched in his memory. The horror and confusion of the time is something most of those standing on the barricades by the White House remember all too well. But the irony is, despite the fact that supporters of both sides – as with most political conflicts – remain on opposite sides of the ideological barricade, one idea does seem to bridge the gap. "I said this at the anniversary of his death: Had my son known the outcome, he would've never gone there. He would've not liked what happened to the country afterward. Their goal wasn't reached," declared Dmitry Komar's mother. "And at that time, although I've lived enough and had experience, I really started to believe that we could now have a better life, like people in the developed countries in the West, and that our people could prosper and be happy – I really believed that, but it all went a different way." And perhaps that is the most detrimental historical consequence of the days of August 1991. Twenty years ago, hope and a vision brought hundreds of thousands of people together. Today, that shared national concern for the future could be exactly what Russia needs: a chance to become a republic in the most literal sense of the word.